Renovation inspiration brought to you by eclat building co. - A gallery of photos, tips and ideas to help you design your next renovation project and transform your home. - eclat building co. Renovation inspiration brought to you by eclat building co. - A gallery of photos, tips and ideas to help you design your next renovation project and transform your home. A gallery of photos, tips and ideas to help you design your next renovation project and transform your home. 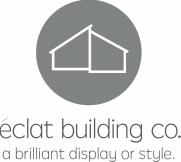 For more renovation inspiration, check out the eclat building co. pinterest page.